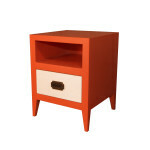 Nightstands are an important accessory in every room, including a kid’s room. 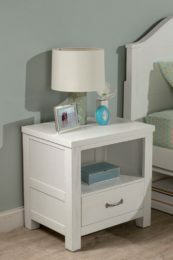 Kids Only Furniture has several kinds of nightstands to suit your child’s storage needs. 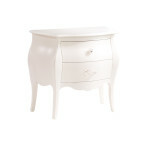 Made from solid wood, these nightstands have been intricately crafted. 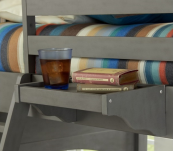 There are multiple drawers to store away all of your kid’s knickknacks and favorite items. 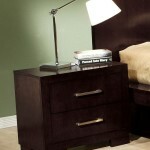 The top is wide enough to hold items like a lamp and clock, yet the nightstand is compact enough to fit into any corner. The drawers are fitted with stops which prevent them from falling out, making them very safe for young kids. 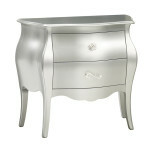 Our nightstands have been crafted in three types of styles: classic, antique and contemporary. 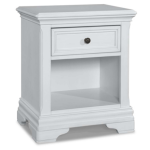 These nightstands are the perfect accessory in a kid’s room and can be easily matched with your kid’s bed. 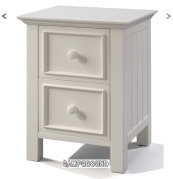 Available in various shapes, colors, and finishes, you are sure to find a nightstand that can fit your child’s requirements as well as your budget.